Ari knows that clients want to focus on serving their customers, clients, and communities -- not on legal and compliance concerns. She works closely with clients to provide strategic advice and counselling tailored to the unique characteristics of their businesses and the complex issues they face. When litigation arises, she strives to get her clients back to doing what they do best by advocating tirelessly on their behalf. Arielle B. Kristan (“Ari”) advises and counsels businesses and nonprofits to assist clients in avoiding employee conflict and minimizing the risk of costly litigation. She also advises clients on compliance with federal and state employment laws, including the Fair Labor Standards Act, the Family and Medical Leave Act, the Americans with Disabilities Act, Title VII, Massachusetts leave laws, and Massachusetts General Law Chapter 151B. Ari’s experience includes advising entities on subjects such as employment contracts, restrictive covenants and noncompetition agreements, and other employment-related issues. In addition, she works closely with clients to draft and review employer policies and handbooks. 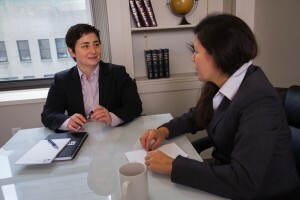 As an experienced business litigator, Ari represents clients in state and federal court and before administrative agencies, including the EEOC and the MCAD. Ari understands the importance of her clients’ ability to focus on their businesses. She works to efficiently obtain successful results for clients as early in the litigation process as possible through the use of motions for preliminary relief, motions to dismiss, and summary judgment. 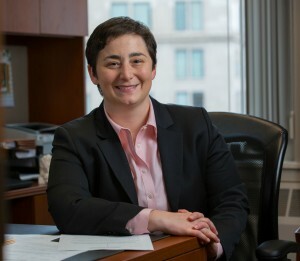 Ari’s litigation experience ranges from employment discrimination and wage and hour disputes to civil rights claims and breaches of fiduciary duty. She has particular experience in cases involving noncompetition and nonsolicitation agreements and misappropriation of trade secrets. Author, “An Uncertain New World: Labor and Employment Issues and the Post-Scalia Court,” Bender’s Law and Employment Bulletin, April 2016. Author, “Unmaking the ‘Curious Distinction’: The Seventh Circuit Holds that Title VII Prohibits Discrimination on the Basis of Sexual Orientation,” Bender’s Law and Employment Bulletin, May 2017. Author, “Gender Identity Discrimination” in Massachusetts Employment Law (MCLE, Inc. 4th ed. 2015 & Supp. 2017). Panelist, “Implicit Bias in the Workplace: A Guide for the Employment Law Attorney,” Massachusetts Bar Association, May 2017. 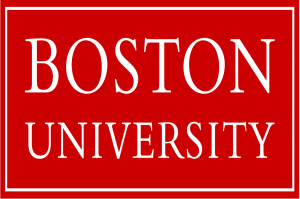 Panelist, “The Massachusetts Pay Equity Act: Strategies for Higher Education,” Boston Bar Association, February 2018. Frequent presenter on employment law aspects of the opioid crisis. Prior to joining Hirsch Roberts Weinstein, Ari was an attorney in two Boston law firms; first in the complex business litigation department of an international law firm and second as a civil litigator at a trial boutique. Ari also served as an Assistant Attorney General in the Administrative Law Division of the Massachusetts Attorney General’s Office, where she defended state agencies, including in oral arguments before the Massachusetts Appeals Court. Immediately after graduating from law school, Ari served as a law clerk to the Honorable Joette Katz of the Connecticut Supreme Court. 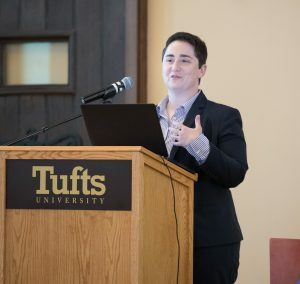 Ari has a passion for teaching, and has served as an adjunct instructor at Tufts University and Boston University School of Law. Prior to law school, Ari spent three-years working for an international campus-based nonprofit.